Free coffee is calling. The 90s are calling. It's Friends' 20th Anniversary. After walking around the side of the doorway, continuing around the back entrance and crossing the street, we finally found ourselves at the end of the line. “How long is the wait?” “From here, about an hour and forty-five minutes.” “Oh, that’s perfect!” Last time my friend and I showed up it was a four hour wait for the Friends pop-up coffee shop, Central Perk. Was it worth the wait? Of course. The beloved Friends characters Monica, Rachel, Ross, Phoebe, Chandler and Joey brought us 10 years of laughs and classic New York City moments. Later on they brought us hours of binge-watching marathons of reruns. 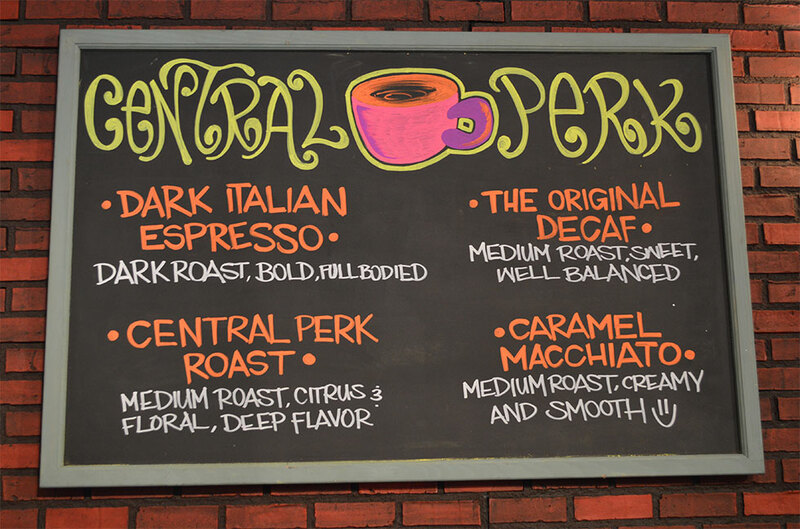 Now, we live in New York City, so why wouldn’t we wait two hours for a chance to get a taste of coffee in Central Perk like our favorite NYC characters? 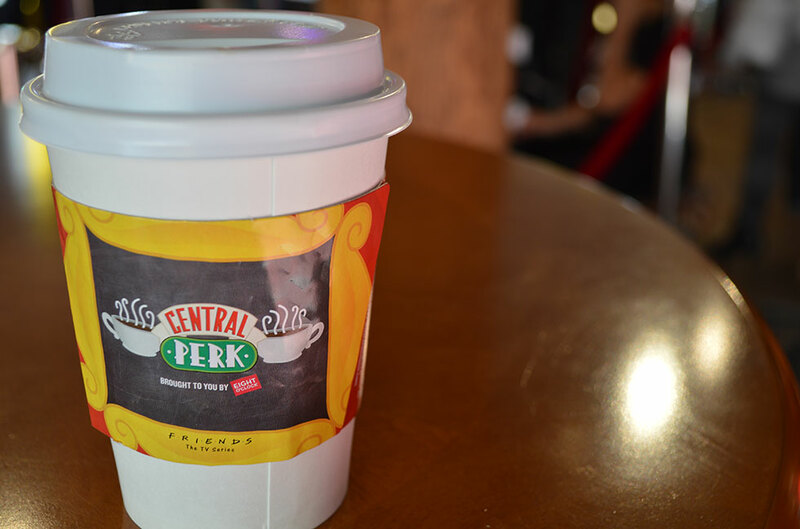 Warner Bros. and Eight O’Clock Coffee set up the opening of Central Perk for the 20th Anniversary of Friends on Lafayette Street in SoHo. The cafe opened in September for a month until October 18th. 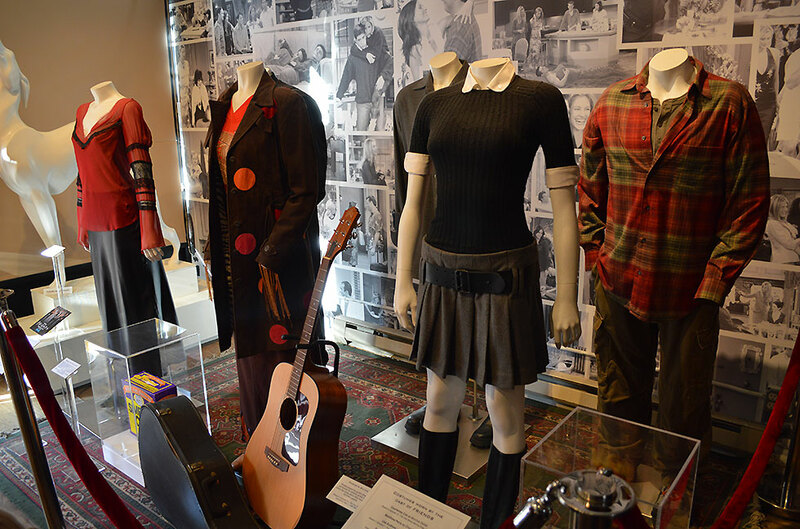 Inside is a museum of memories and moments from Friends including Phoebe’s guitar, Monica and Chandler’s wedding invitations, photos of all the characters and a display of the greatest fashion period of all time: the nineties. The pleated skirt is truly timeless. When you walk in, they offer you a free cup of coffee. You can choose from Dark Italian Espresso, Original Decaf, Caramel Macchiato or Central Perk Roast. The shop is small but has a few tables to where guests can sit and enjoy their coffee. The time passed quickly while we waited, and the coffee was worth it for the chance to be a part of the Friends’ 20th Anniversary celebration. For any readers who aren’t as Friends-obsessed, the touristy-worshiping of the show and its characters only increases after the coffee line. In a shorter line, customers have the chance for a photo-op with the original orange couch, but only after finishing their coffee. When you walk up, there it is under the perfect TV lighting. There is a photographer who can uses your camera to take a picture as well as another who takes a free photo which can be viewed online and downloaded. 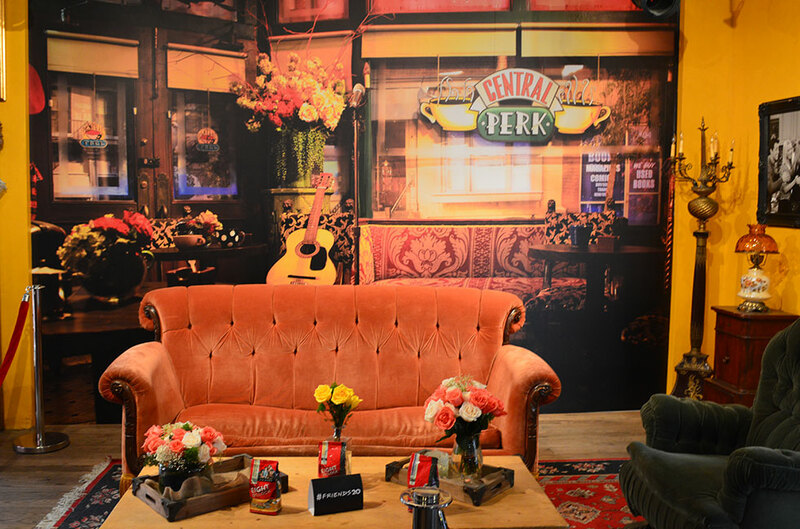 What makes the Central Perk experience incredible is that many of the visitors were barely teenagers when the Friends show stopped airing. The characters and their stories prove to be timeless, and this is evident in the hours thousands of people have waited in line to experience a Friends moment in the company of good friends and good coffee.